The iMac's processor has been upgraded and now houses a 7th-gen Kaby Lake 3.4 GHz Intel Core i5 Quad-Core processor that can be overclocked up to 3.8 GHz, as well as 8GB of 2400 MHz DDR4 RAM. Visuals are powered by a dedicated AMD Radeon Pro 570 graphics card with 4GB of vRAM, and for storage, there is a 512GB SSD. The iMac houses a 7th-Gen Kaby Lake Intel Core i5 Quad-Core processor that can reach a stock speed of 3.4 GHz. It can also be overclocked up to 3.8 GHz, thanks to Intel Turbo Boost 2.0 technology. The 7th-gen Kaby Lake Intel processor uses low voltage for better energy efficiency while still providing fast performance needed to run processor-intensive applications such as Logic Pro or Final Cut Pro. 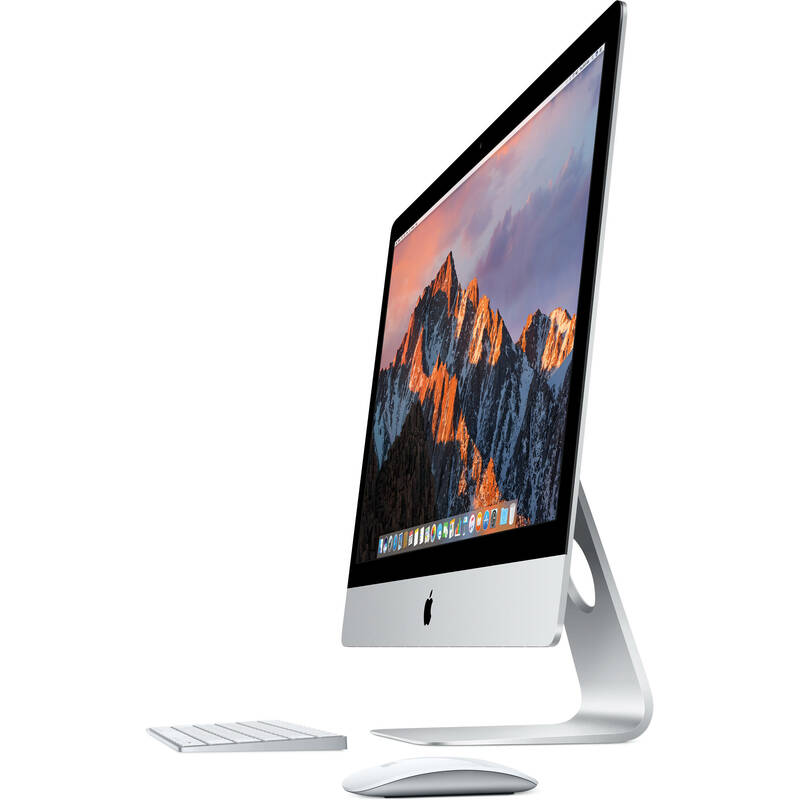 Combined with 8GB of 2400 MHz DDR4 RAM, the iMac allows you to multitask quickly and efficiently. While the current 8GB memory configuration is made up of two 4GB modules, the memory can be upgraded to a maximum of 32GB, using an 8GB chip in each of the four 260-pin SO-DIMM sockets. Box Dimensions (LxWxH) 31.0 x 24.0 x 10.5"
27" iMac with Retina 5K Display (Mid 2017) is rated 5.0 out of 5 by 1. Rated 5 out of 5 by annie o'carroll from supoort was kind and helpful! support for the purchase was kind and helpful. love the product.